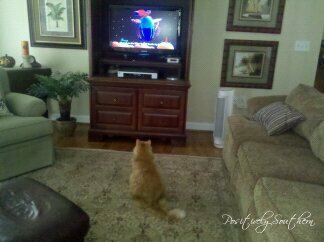 That is Cody, the cat watching cartoons. 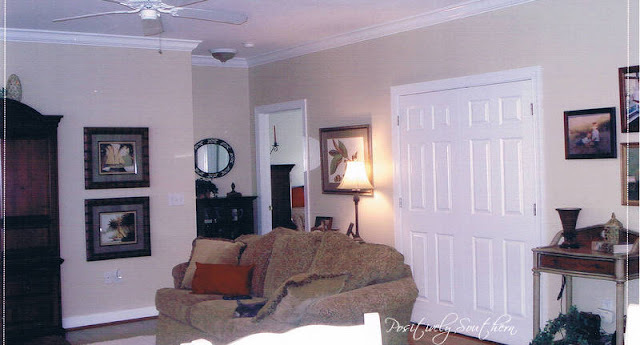 Those solid panel doors were changed out for french doors almost as soon as we moved in and that quickly made an improvement. 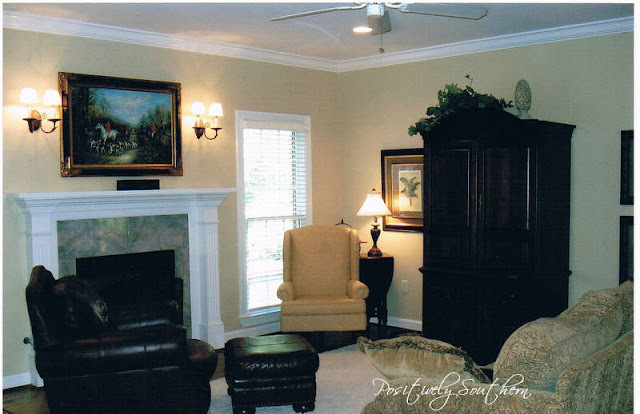 After living with this I knew that I wanted to lighten the room up and add custom drapes. So hold on to your seat cause here comes the new and improved family room! The inspiration for this make over all started with this piece of fabric my designer pulled from her bag! I positively adore the improvements made in this room. The prints that are at the top were in the room before but were rematted with an ivory mat. The gord lamp was a great find at JCP and the floor lamp is from Kirklands. The palm tree prints were picked up at a local antique mall. These are pics of our boys in those sweet days! They are both teenagers and sweet pics are a thing of the past. 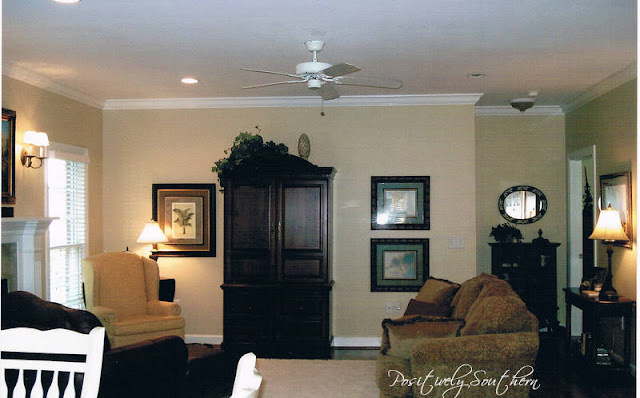 As you see, the family room, kitchen and breakfast table are all open to each other. To say that I am pleased with how this turned out would be and understatement.....over the moon might better describe how I feel!